Written specifically with the small flock owner in mind, this new book by poultry expert Damerow is a must-have reference for anyone who raises chickens. The author provides advice on health topics relevant to all breeds and ages. 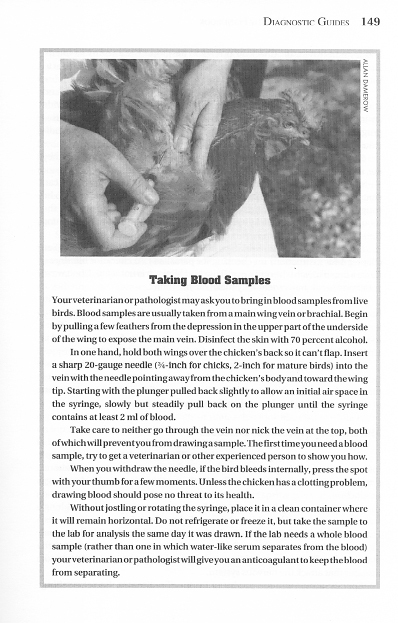 Hatchability, productivity, incubation, nutrition, parasites, infectious diseases, and anatomy are all covered in this manual. 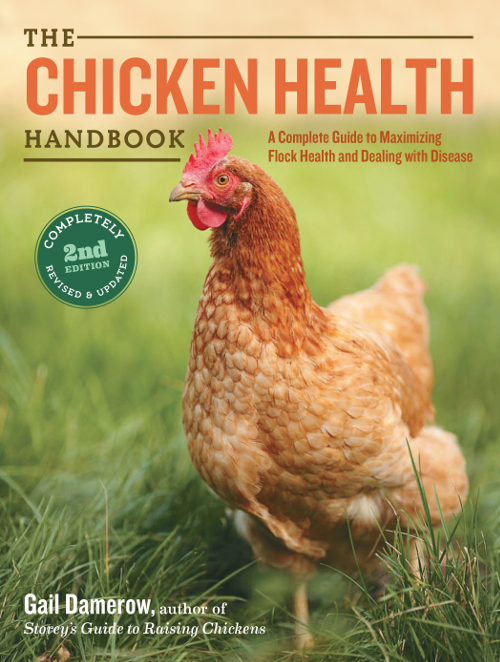 Handy, practical charts help the reader pinpoint common symptoms and causes of diseases, and an extensive alphabetical listing of diseases provides information for treatment ranging from poor egg production to crooked toe syndrome.